How Bill Clinton earned the nickname the Comeback Kid during the 1992 Democratic primary. Slate’s podcast about presidential campaign history explains how Bill Clinton earned the nickname the Comeback Kid during the 1992 Democratic primary. 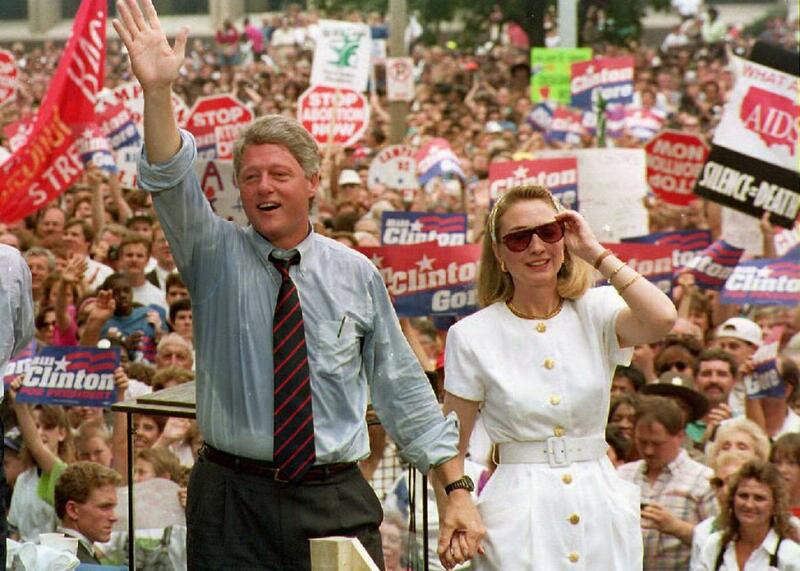 Then–presidential candidate Bill Clinton waves to supporters as he holds the hand of his wife Hillary, July 22, 1992, St. Louis. Whistlestop is Slate’s podcast about presidential campaign history. Hosted by our political columnist and Political Gabfest panelist John Dickerson, each weekly installment will revisit a memorable (or even a forgotten) moment from America’s quadrennial carnival.